Phoenix series insulated lateral files also blend elegantly with any environment while providing superior fire protection for key records and documents. 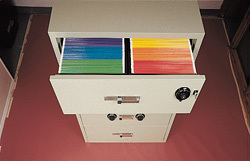 Available in two, three, or four drawer models, the files are capable of filing both legal and letter size documents. 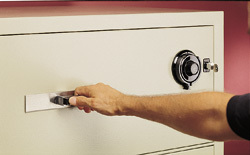 Files include a special interlock system that allows only one drawer to be opened at a time to prevent tipping. The files are tested by UL and carry the Class 350 – 1 hour fire resistant rating, making them perfect for storing paper records.